Katelynn Dockery is Wrestlingtexas Wrestler of the Week. 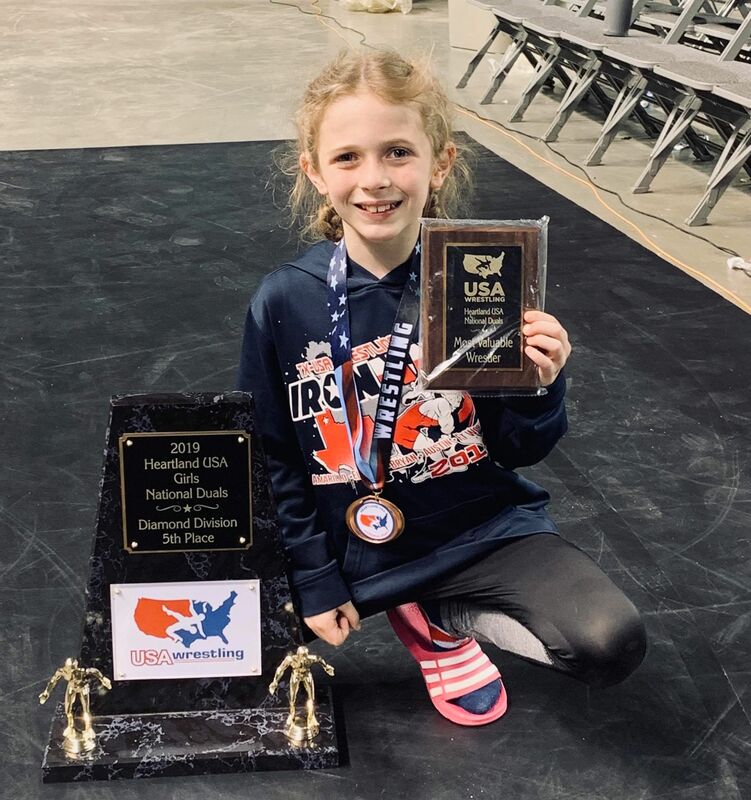 Dockery of Legacy Wrestling Club wrestling at the 58lb weight for the Girls Team Texas at the Heartland National Duals this past weekend and had a stellar performance which landed her with the Most Valuable Wrestler Award. Dockery’s Team Texas Blue placed 5th over all in the Girls Division. Dockery had 9 matches total with 2 losses. 6 of those wins were by fall with the longest one taking 1:17 while the rest were under 1 minute.